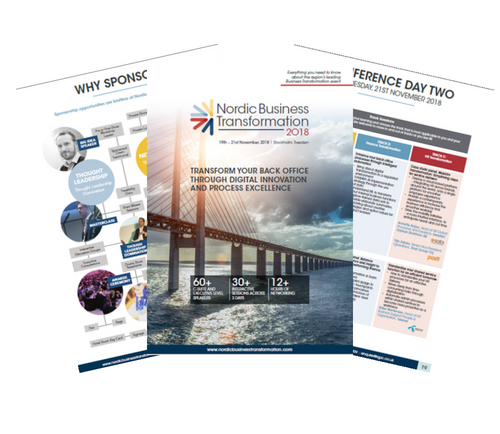 Network with transformation leaders from a wide range of industries from the Nordics and beyond! Don’t miss out on your opportunity to attend the region’s leading business transformation event. Download your guide to the region's leading transformation event! Delving into topics including operational efficiency, automation technologies, change management, back office processes and innovative strategies in 3 days of valuable sessions and networking opportunities. This is the event for you – don’t miss out.